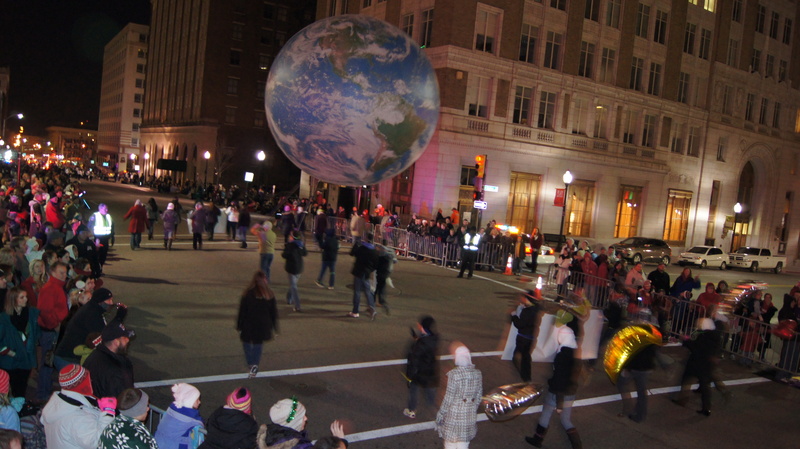 No matter what you call it, everybody loves a parade. 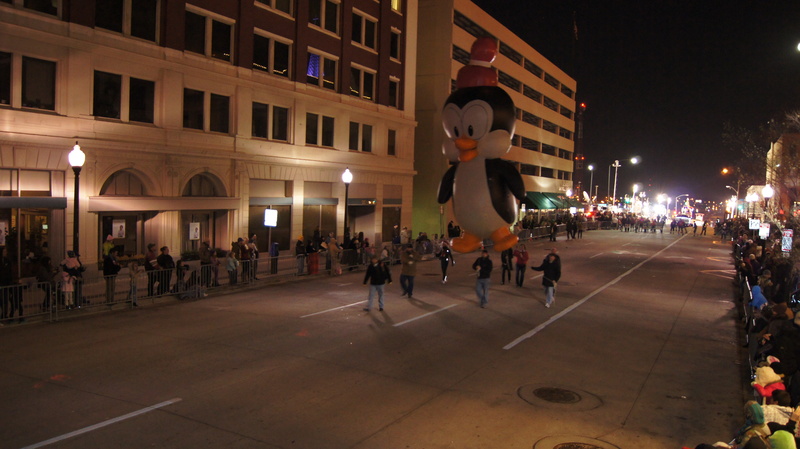 Here are some highlights from the 2011 Parade of Lights that traveled through downtown Tulsa this evening. The zany snowman sponsored by Fab Lab Tulsa stole the show with its snappy soundtrack and authentically smoking corn cob pipe. And a couple more photos…. I snapped these with my Pole Saw Picture Taker using a Sony A33 with an infrared remote. Worked great until the camera battery died. D’oh!